Some people are avid trophy hunters, falling victim to the addictive metagame and getting a lot out of the games they play. (Sometimes, much to our dismay.) If you’re curious about earning the Platinum trophy in the upcoming Earth Defense Force: Iron Rain, we’ve got the scoop for you. However, prepare to put a lot of time aside to get it. Recently, we interviewed series producer, Nobuyuki Okajima and asked him all sorts of questions about the upcoming game. We even asked about the trophies and if it would take a while to earn the coveted Platinum. Okajima said, “We have many trophies, from very easy ones to very difficult ones. I think we [have] a really good balance.” He also stated that earning the Platinum would take “quite a long time,” squashing any ideas (instead of bugs) that this would be a quick and easy Platinum. The trophy list has not been officially revealed yet, which is not unusual. The game’s release is still a couple months out. Moreover, judging by the gameplay loop and the fact that you get graded on your performance each mission, you can easily envision a time-consuming trophy list. Plus there are bound to be some competitive multiplayer trophies that get you to try out the 4v4 Mercenary mode. We’ll be sure to keep you updated once the trophy list goes live or gets leaked. 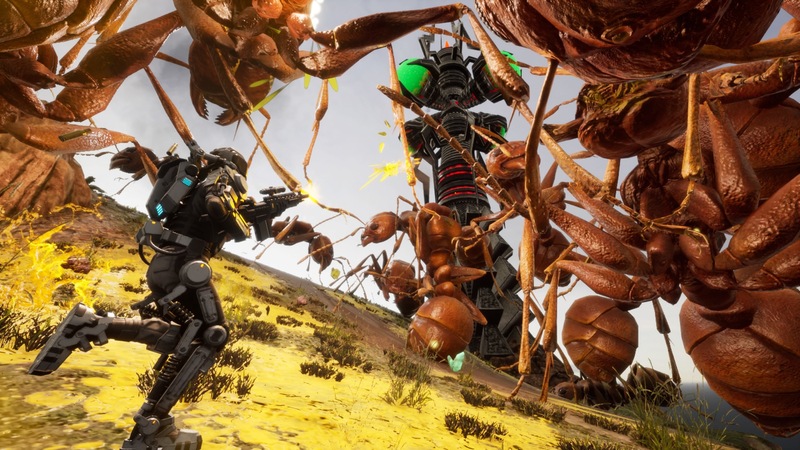 Will you be picking up Earth Defense Force: Iron Rain? Do you think you’ll be able to earn all the trophies? Let us know!